Santa Teresa tram ride included. 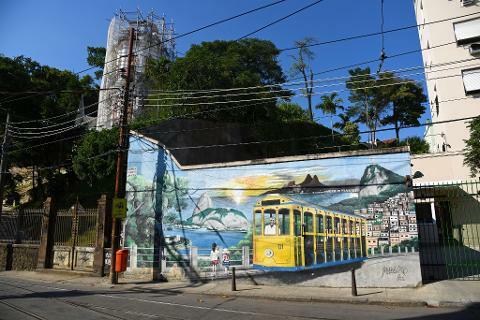 Get to know many of the most traditional places in Rio de Janeiro: begin with a tram ride from Downtown to Santa Teresa over the Lapa Aqueduct (“Arcos da Lapa”) and visit the Ruins Park, Selarón Steps, Passeio Público, Cinelândia, and Confeitaria Colombo. 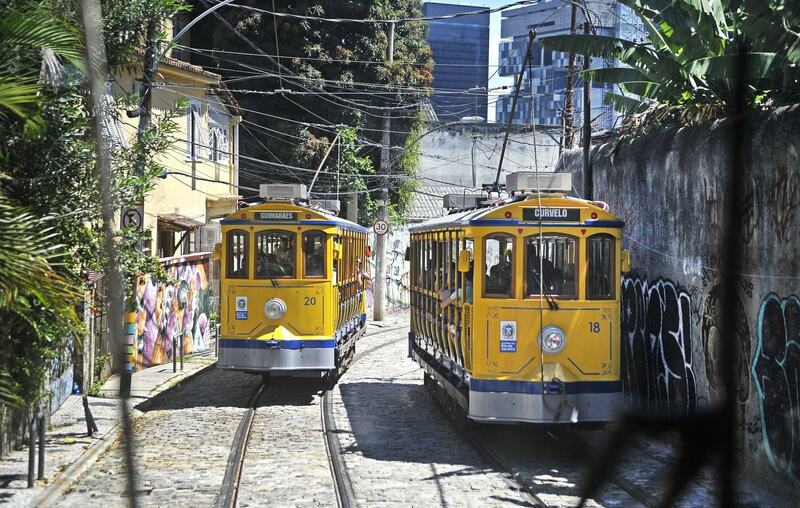 Begin your tour at Downtown (“Centro”), where you will get the tram (“bondinho”) to the bohemian neighborhood of Santa Teresa. 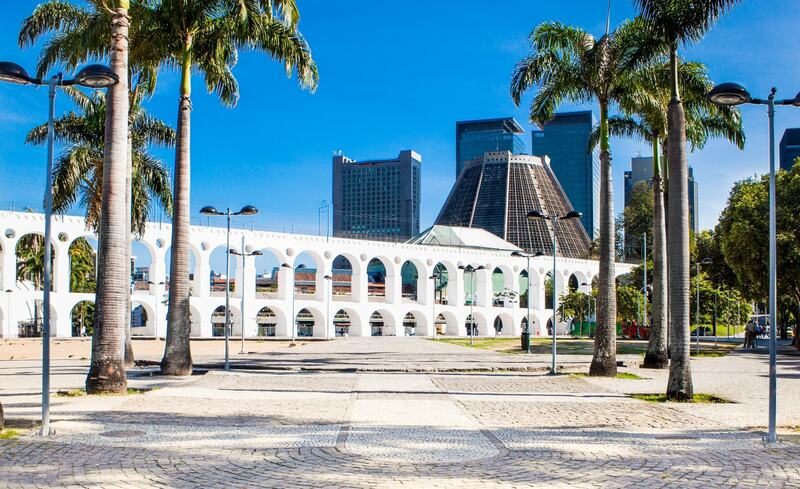 You will drive over the Arcos da Lapa, the aqueduct used to connect water from Santa Teresa to Downtown and one of Rio’s most traditional postcards. At Santa Teresa, you will experience an interesting local atmosphere. 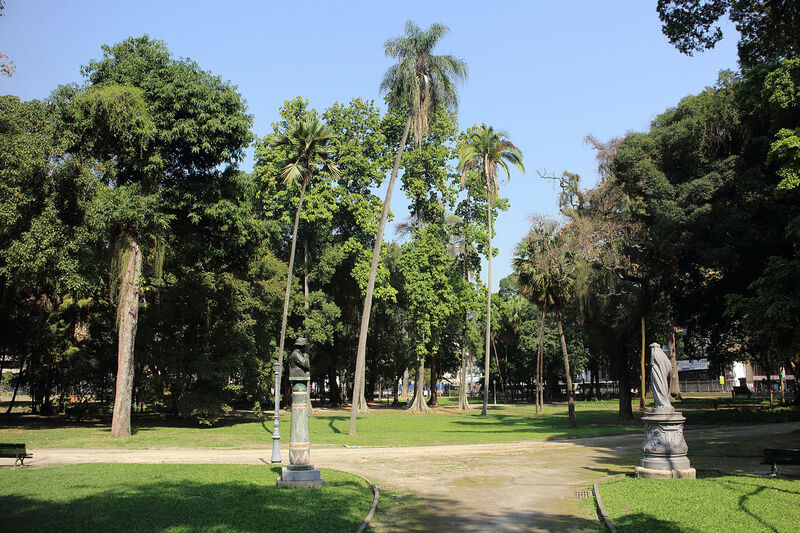 Walk along the bohemian neighborhood of Santa Teresa, a bucolic area in Rio de Janeiro. 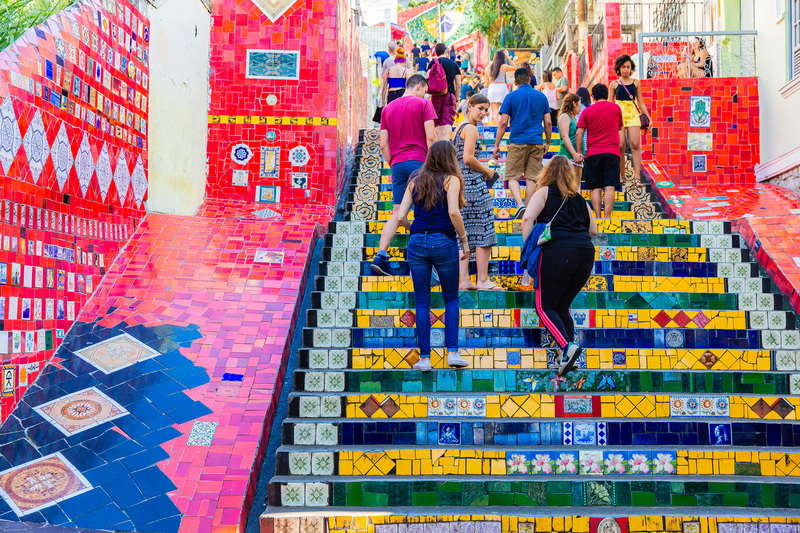 Located on a hillside, Santa Teresa has become a district of cultural interest because of its architectural value and prime location, famous for its winding, narrow cobblestone streets and a favourite spot for artists and tourists. A flair similar to Montmartre, in Paris. 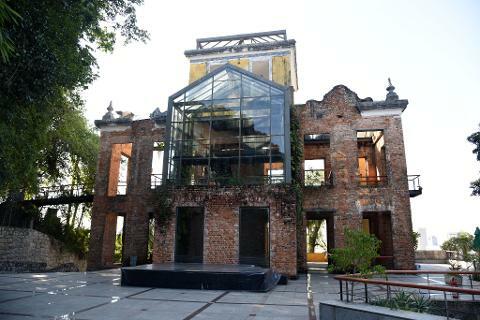 You will visit the Ruins Park, a public park with an art gallery built around the ruins of a mansion. 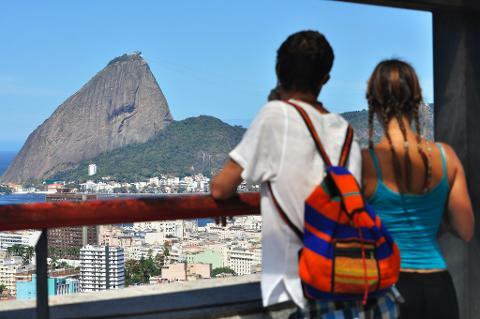 Take a minute to enjoy the city’s landscape, in particular the Downtown area and the Sugarloaf Mountain. 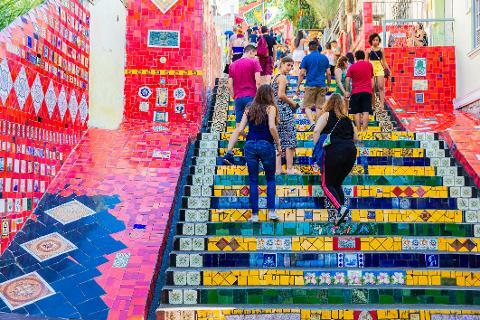 Up next, you will walk down the colorful Selarón Steps, one of Rio’s landmarks, and arrive at the district of Lapa, the zone with most traditional nightlife. Take a stroll in the Passeio Público, the oldest public park in the South America, to reach Cinelândia, a lively spot in Rio thanks to its bars, restaurants and cultural attractions. 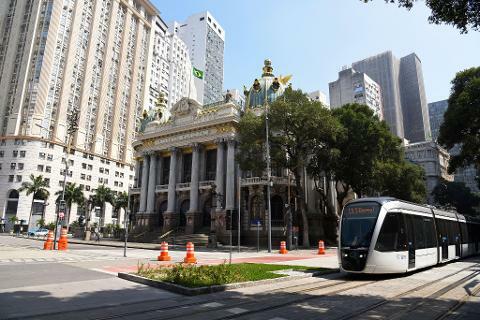 Among many remarkable constructions in the area, you will notice the Theatro Municipal, Rio de Janeiro’s most traditional theatre and opera house, as well as the Biblioteca Nacional, Brazil’s most important library. 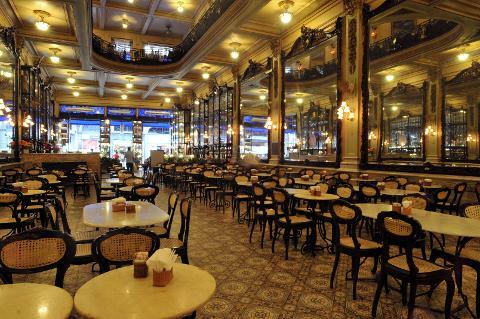 Your last stop will be at Confeitaria Colombo, a permanent member of all “must-see cafés” rankings around the world. Enjoy the opulent art nouveau decorated with huge stained glass, tiles, and mirrors imported from France, Portugal, and Belgium. You can finish your tour tasting one of the Brazilian traditional snacks – such as the coxinha de frango (‘little chicken thigh’) – or desserts – such as the brigadeiro (‘brigadier’) in one of Rio de Janeiro’s most prestigious places at the beginning of the 20th century. 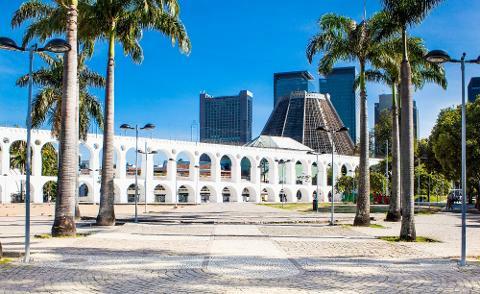 Daily tours leaving from Hotels in the South Zone (Copacabana, Leme, Ipanema, and Leblon). We do not pickup in Hostels or B&B. Professional guide with live tour commentary in English, Spanish & Portuguese. Roundtrip transportation available from South Zone (Copacabana, Ipanema, Leblon, Leme) hotels via air-conditioned van. Please inform your hotel or a nearby location when you call to confirm your reservation.